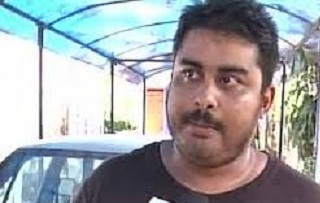 File Photo of Mekhail Bora, brother of Sheena Bora. In the sensational Guwahati-born Sheena Bora murder case, the murky details of which shook the nation, the victim’s brother, Mekhail Bora, told the court on Friday that he got to know about his sister’s murder through news channels on August 25, 2012. Mekhail also said he had a “very cordial” relationship with Sheena and as his sister, he had only love and affection for her. Sheena was allegedly murdered on April 24, 2012, by her mother Indrani Mukerjea, along with her former husband Sanjeev Khanna in a conspiracy with her husband Peter, the CBI has claimed. Mekhail was responding to questions during his cross-examination by Khanna’s advocates Niranjan Mundargi and Shreyansh Mithare on Friday. He was also confronted with an interview he had given to a channel in 2015, in which he had claimed that he had never seen Khanna and he was hearing his name for the first time through media. Mekhail had claimed during his examination-in-chief earlier in court that Khanna was introduced to him by his mother Indrani as a client and that he had gone out for a drink with him and thereafter, had felt dizzy and found himself admitted to a psychiatry ward of a private hospital. He had also alleged that Khanna was present at Indrani’s residence on April 24, 2012, in Worli, reports The Indian Express. When confronted with the interview about not knowing Khanna, Mekhail told the court, “During that interview, I had not come across the face of Sanjiv Khanna. But when I came across his face through the media, I remembered him to be the same person.” He added that he identified Khanna only when he saw his face in the media. Mekhail’s cross-examination by Peter’s defence advocates will commence on Monday.